I realize it’s been some time since I’ve sent out a blog post. Part of that is because of the busy season we’ve been in over the last few months, both personally and in ministry. But some of that is also that I really haven’t felt that I had much of significance to share. A couple of weeks ago though, as we were preparing to leave for our 6th mission trip to Honduras, I was in a time of prayer and I felt God’s Spirit speak. He said, “you’ve been in a time of being still, now it’s time to move.” Although I certainly don’t FEEL like I’ve been in a time of being still recently, this seems like great news as I think that means God is preparing to do something awesome! Then, over the last couple of nights, God’s Spirit has woken me up in the middle of the night. While this continues to wreak havoc on my sleep patterns and daily routine, sharing this quiet time talking, wrestling and discerning God’s will has been remarkable. Friends, at Rock Church Amesbury, God is leading us into something new. While I’m not yet certain what that will eventually look like (isn’t that just like our God?! ), I do feel that we need to make some times to intentionally gather and seek that out. In order to do this, we need to be in prayer together. While our breakfast LifeGroup allows for some gathering and prayer time, we really can’t give prayer the devotion I feel we need to during that time in the downstairs space. So at least for the remainder of the summer, while we will continue to have our breakfast and gathering time downstairs, we will not have a formal LifeGroup. Instead, I hope those who feel led we will meet me in the sanctuary from 9:30 - 9:50am before Service for a time of intentional prayer. Some weeks this may be look like walking the sanctuary praying over each seat individually for those who will sit in them during service. Other weeks it may be praying one-by-one over the concerns on our prayer wall. While still others it may just be spending time on our knees at the altar, listening for what God’s Spirit reveals to us. Whatever form it may take week-to-week, all are welcome to join. The sanctuary doors will close at 9:30 and will remain closed until 9:50 in order to create a sacred space to enter into God’s presence through prayer. I’m so looking forward to seeing this new thing God is doing and where He is leading us. I hope you’ll join me this Sunday morning in the Sanctuary at 9:30am. I ran 20 miles on Saturday morning. I actually started writing this shortly after finishing, but wasn’t physically able to string words together in a coherent manner until now. I don’t tell you this fact to brag (okay, maybe it’s a bit of a “humblebrag,” and if so then please forgive me, BUT 20 MILES IS A LONG WAY PEOPLE!). There are a couple of reasons why I want to tell you about my first 20-miler. First, because I know I’ve been a bit quiet on my blog lately, and I want you to know why. It isn’t that I don’t love all of you with all my heart, because I do. Really, it is because it takes a LOT of time to get to the place where you are able to run 20 miles (not to mention the fact that I am tired A LOT). This has taken me a great deal of time, discipline, and the ability to engage in the practice of the “holy no” meaning the ability to say no to things, and prioritize according to what God calls me to do, not what I get in my mind I “should” do. This brings me to the second reason why I want to share this with you today – because I want to brag on our God. Some of you may know the part that running played in my life when God called me into pastoral ministry. If you don’t, I’ll give the Readers Digest version (we seem to be doing that a great deal lately, huh?). He called me to obedience before he called me to ministry. I had never been athletic (no really, NEVER) and in the middle of a Borders bookstore God spoke audibly to me and told me to, “Just run.” I had no idea what that meant, but I did. At first I ran when I could, painfully slow (and just plain painfully), and then walked at times. Eventually, I could run steadily for 10 minutes. After a while, I made it to 2 miles. Then 2 miles became 4, and 4 became 6, and so on. I eventually made my way to my first half-marathon (that’s 13.1 miles). And God revealed during that time, that this calling to run wasn’t just some whim or distraction. Rather, during those many hours alone on the road, during cold winter mornings, just me and Him, he was building me up, breaking down barriers that had held me back all my life and speaking into me. He was preparing me for what I was purposed for all along and one day out on the road, He clearly revealed that calling to me. It was amazing, and again I was obedient. How is God calling you to partner with His Gospel today? It may not be to lead a nation out of slavery like Moses, or to give up everything you know to show fierce, unswerving loyalty like Ruth. It may not be to run a marathon, or even a half-marathon, or to pastoral ministry, but He is calling you to something. Take some time and find out what that is, and be gentle with yourself. Growth is a process, and it is slow, and sometimes painful…but it is good. All my love and blessings to you all this week and always. MEMBERSHIP: We will be taking in new members during service on March 11th at Rock Church Amesbury. If you are interested in learning more about membership and were not able to attend our last inquiry session, we’ll be meeting over lunch after service this Sunday, March 4th. Please email Debra Haggstrom (deb@rock-church.org) and let her know you’ll be joining us. I CAN ONLY IMAGINE: We will be having a private screening of the new movie I Can Only Imagine at VisionMax Cinema on Saturnday, March 17th. This is an incredible movie telling the true story of Bart Millard, lead singer of MercyMe, and his incredible journey to write the song of the same name. If you’d like more information or to confirm you’ll be joining us click here. BAPTISM: We’re pulling the hot tub out again! If you’ve been thinking about taking this next step in your relationship with Jesus, we’d love to talk with you about it. Email Debra Haggstrom (deb@rock-church.org) and let her know and we’ll be in touch. Pastor Rachel here coming to you with my first blog of 2018. How has your year started out so far? Have you had the opportunity to put into action any of the choices we talked about on New Year’s Eve? Speaking of New Year’s Eve, what a great service that was! It was so great to celebrate with those of you who were able to face the bitter cold and make it out for a party on Sunday morning. I can’t help but think, “Isn’t that how we should celebrate the hope we have in Jesus every week? !” If you weren’t able to be with us, you can check out the video of our service (including the conga line at the end) by clicking here. This past Sunday was also great (in a far more subdued way) as we began our new sermon series looking at God’s Big Plan: From Creation to the Cross. This past week we started in the beginning, with the story of creation from the book of Genesis. This is a journey that we’ll continue on through Easter Sunday during which we’ll explore the plan God put into motion in the garden and which came to fruition on the cross. I promise that if you stick with us each step of the way for the next 12 weeks, we will not only have a greater understanding of the continuous story told in the Bible, but we will also have the opportunity to experience Easter in a deeper way than ever before. If you were not able to be with us on Sunday morning, but would like to catch up on the first sermon in this series, you can watch that online also here. I know Easter may seem a world away right now, but it will be here before we know it. This Easter, we’d like to do something very different and impactful. We want to memorialize Jesus’ defeat of death on the cross by offering the opportunity to experience emersion baptism right in our own sanctuary on Easter Sunday. This is a chance for those who have chosen Jesus to stand before their brothers and sisters and demonstrate outwardly the inward transformation He has made in their lives by leaving their old lives below the water. I think many who were with us the last time we did baptisms in service would testify that it was an incredible experience in the presence of the Spirit! If you feel you would like to take the step of being baptized on Easter morning, email Pastor Rachel at rachel@rock-church.org or make a note on the back of your Connection Card on Sunday and we’ll be in touch. Looking forward to seeing all of you soon! A reminder that we are here at Rock Church Amesbury every Tuesday night for Celebrate Recovery (dinner @ 5:30, large group worship @ 6:30 and small groups @ 7:30) and on Sunday for breakfast & LifeGroup @ 9am and Worship @ 10:10. MEMBERSHIP: Make no mistake, you are a member of our family from the moment you walk through the door. Taking membership, however, is the opportunity for those who have made the decision to live out their faith life as a part of our church to stand, before God and our church family, and boldly say, “I’M ALL IN!” We plan to take in new members soon at Rock Church Amesbury. If you are interested in learning more about membership and were not able to attend our last inquiry session, please email Debra Haggstrom (deb@rock-church.org) and Pastor Jon or Rachel will be in touch! FOR OUR COMMUNITY: If you’ve been around much at all, you may have heard that Rock Church is For Our Community! Our For Our Community Group will meet this week, January 14th after service @ 12:30 over lunch for an initial time of brainstorming and dreaming. If you haven’t already let Deb (deb@rock-church.org) know that you are able to attend, please shoot her a quick email so we know how many to plan for lunch. Giving thanks for you all this week! And speaking of celebrating the old passing away and the new coming - a party is coming to Rock Church Amesbury on Sunday morning to celebrate New Year’s Eve! Our schedule will remain the same with breakfast & LifeGroup @ 9am and Worship @ 10:10, but our theme all morning long will be one of celebration. I hope you’ll be able to join us to ring in the New Year (sort of)! 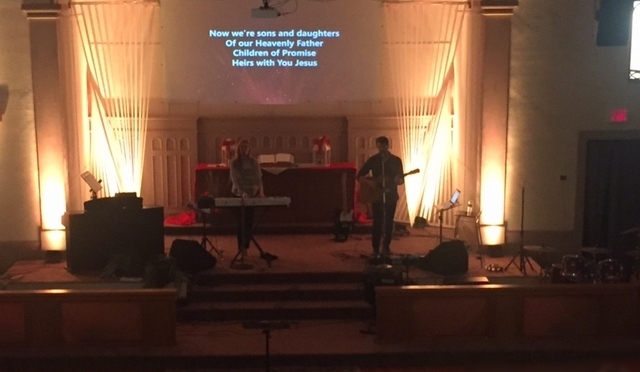 MEMBERSHIP: We will be taking in new members during January at Rock Church Amesbury. If you are interested in learning more about membership and were not able to attend our last inquiry session, please email Debra Haggstrom (deb@rock-church.org) and we’ll be in touch! FOR OUR COMMUNITY: If you’ve been around much at all, you may have heard that Rock Church is For Our Community! Our For Our Community Group will meet January 14th @ 12:30 over lunch for an initial time of brainstorming and dreaming. If you haven’t already let Deb (deb@rock-church.org) know that you are able to attend, please shoot her a quick email so we know how many to plan for lunch. As we continue to celebrate the birth of our savior, I hope you are able to continue through this week joyful and triumphant! Paul wrote this letter to the church in Philippi from prison, and yet because of the strength he drew from the love of Christ, he was able to say that he was content. Oh what a lofty goal to achieve, but how great is the love of Jesus that His strength will never run short in us and that we get to continue to live the rest of our lives content in that knowledge! I pray your Thanksgiving is full, of love, laughter, friends and family, but most of all, I pray that it is full of contentment. Looking forward to seeing you all on Sunday when we’ll finish up our DEEPER SERMON series! 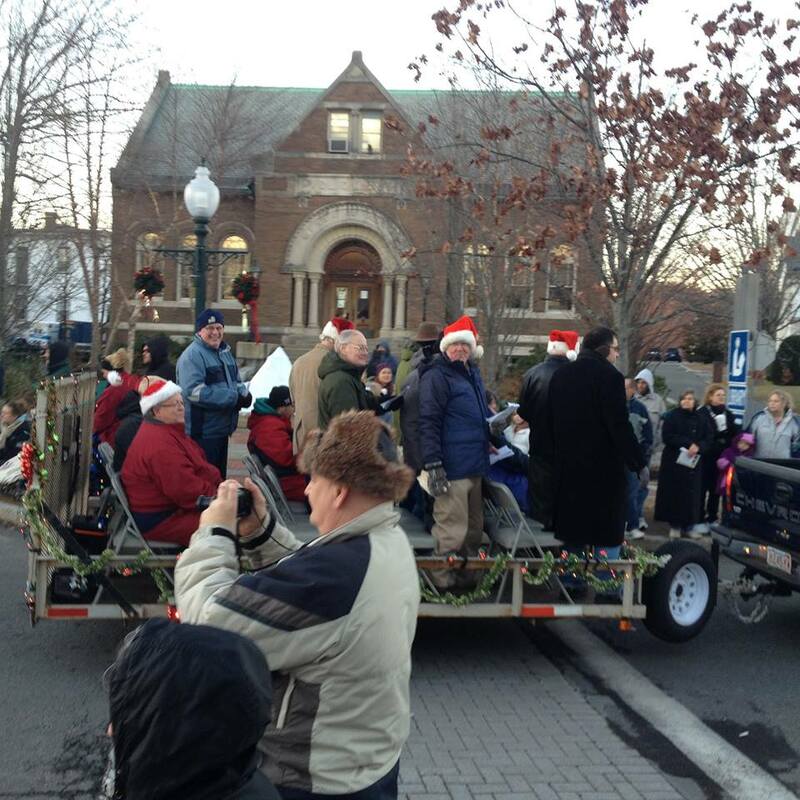 AMESBURY CHRISTMAS PARADE – Saturday is the annual Amesbury Christmas Parade! This parade not only goes right by our building, but it also generally features some of our “Good Christian Men” rejoicing and singing on a float. We’ll also be doing a table and giving out coffee, hot cocoa, etc. 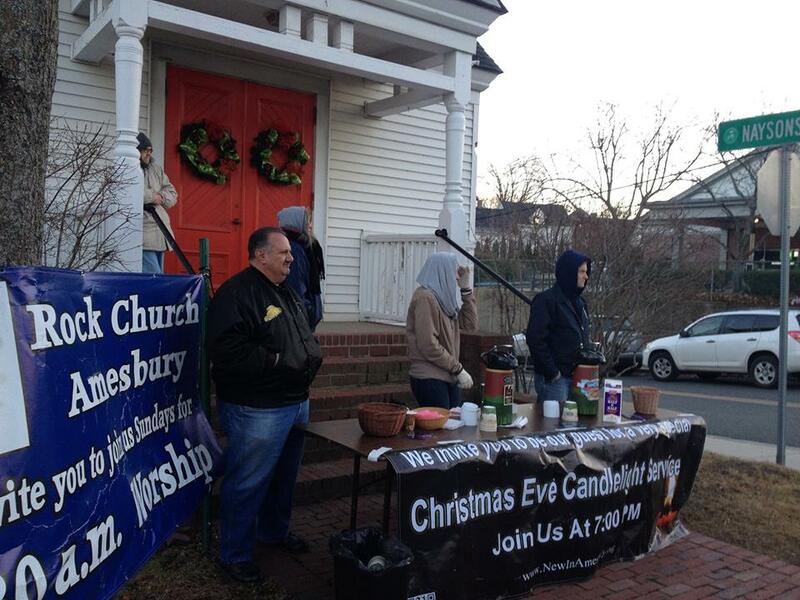 This is always a good time and a great opportunity to show that Rock Church Amesbury is FOR OUR COMMUNITY. As the parade begins at 3:30pm, I believe we will plan to gather about an hour beforehand. Any men interested in joining the fun on the float can contact the irrepressible Mr. Tom Hodge at 978-388-9098 or at tomronda@verizon.net. For anyone interested in helping us hand out goodies at the table, please contact P.Jonny at jon@rock-church.org. FOR OUR COMMUNITY GROUP - This Sunday during the message, I put out a call for anyone interested in joining a group focused on finding opportunities to let our community know we are FOR THEM. Well, let me tell you YOU ALL CAME THROUGH! We got an overwhelming response, but I don’t want anyone to be left out. So if you either weren’t with us this weekend, or God is just now putting it on your heart to join this effort, give me a shout and let me know at rachel@rock-church.org. If you did write it on your connection card, we’ll be in touch soon about organizing a meeting. You all are awesome! This week, let us lay down our shame and instead seek our inheritance of a double portion, rejoicing in the everlasting joy that is available through a life with Christ! And although we’ve barely left this Real Hope series behind, I’m already looking ahead to our next series – DEEPER. 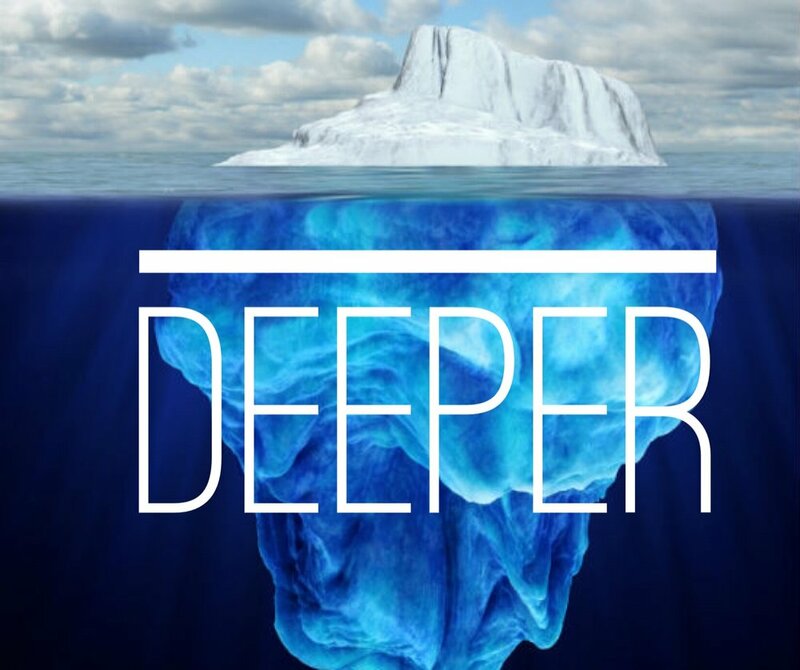 Have you ever heard someone say, “I just really want to go deeper with God.” Or maybe you’ve even thought to yourself, “I really need to go deeper in my faith.” But the question is, what is really meant by that, because sometimes that can mean very different things to different people. Let’s unpack that together this week starting on Sunday morning. Looking forward to going DEEPER (whatever that does mean) with you all then! ROCK RUN RAISER: THIS SATURDAY, OCTOBER 21ST!! Whether you can participate in this 2 mile extreme obstacle course race at our Plaistow campus, or you are just willing to help out, we need you! For more information, contact Heidi Mongeau at hmongeau@comcast.net or register at this link. TRUNK OR TREAT: Our Trunk-or-Treat is THIS WEEK on Tuesday, Oct. 24th! All decorated trunks should plan to be set up by 5pm to ensure we’re ready for all of our trick-or-treating friends. We also need TONS of candy donations so please grab a bag or 2 and bring them Sunday. For more info, please contact me or Pastor Jon at jon@rock-church.org. Hope to see you there! COMMUNITY THANKSGIVING DINNER: Are you FOR OUR COMMUNITY? Then you may want to consider volunteering at our very first Thanksgiving Dinner For Our Community. This will be on Thanksgiving Day, Nov. 23rd at our Plaistow campus. We’ll be sharing a full Thanksgiving Dinner with any of our friends from our community who don’t have a place to gather and eat. This is free and open to everyone. To volunteer you can sign up Here. You can also contact Laurie Duff, our Director of Care Ministry, at care@stmattumc.org or 603-540-9815. Well it certainly seems as though fall is here. Many of you may know that I’m a summer girl. Although my first inclination is to hold onto those long sunny days and warm firefly filled nights with all my might, I have to admit this fall thing is turning out pretty great. Sometimes life can be like that though, can’t it? We spend a lot of energy holding on to something, without thinking that there just may be something else pretty great that we could be missing by resisting unnecessarily. Just like on Sunday when we talked about the difference between being comfort-able and being comfort-ed. These are two very different concepts, but oh so closely related. If we remain comfortable, safe in our own little comfort zone, we likely miss something incredible that God wants to do in or through us. BUT, if we are willing to step out of that comfortable place, God will often use us to do things beyond what we could have ever possibly imagined. 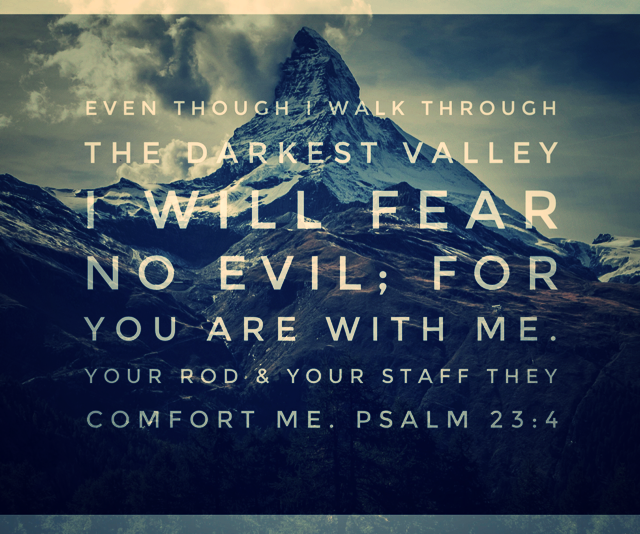 And if those things that take us out of our comfort zones are hard (and - here’s a shocker – they will probably at times be VERY hard), God promises to always be there to comfort us. Only in those places, where we allow God to be our comfort and our refuge, can we truly experience that Real Hope that God offers us through His son Jesus. And the greatest part about that? We then get the opportunity to share that comfort with others. How good is our God to us?! Now, although I am never going to stop holding on to summer, I will accept His comfort in this change of seasons as creation paints a canvas and I rejoice in the majesty of what He is doing in, around and through us. Let’s gather together and rejoice in that together on Sunday, okay? Hallelujah! ROCK RUN RAISER is a little over a week away! This 2 mile extreme obstacle course race will be at our Plaistow campus on Oct 21st. We need some Amesbury teams to participate in the race so WHO’S IN? If you’re not up for racing, we also need over 50 volunteers! More information and registration is available at this link. It may seem hard to find good news in the midst of something like this, but here it is: JESUS IS THE LIGHT IN THE DARKNESS. He is Real Hope and His Spirit is present with us now. I’d ask you all to be in prayer with me – for the city of Las Vegas, for the victims of the shooting and their families, for our churches that we may respond well to those who are struggling and fearful, for our church that we may continue in the way God would lead us and that we would not “become weary in doing good” (Galatians 6:9) and for one another that we would continue to hold this Real Hope that we’ve been learning about on Sunday mornings together alive. I know sometimes it may seem as though the darkness may be gaining ground. 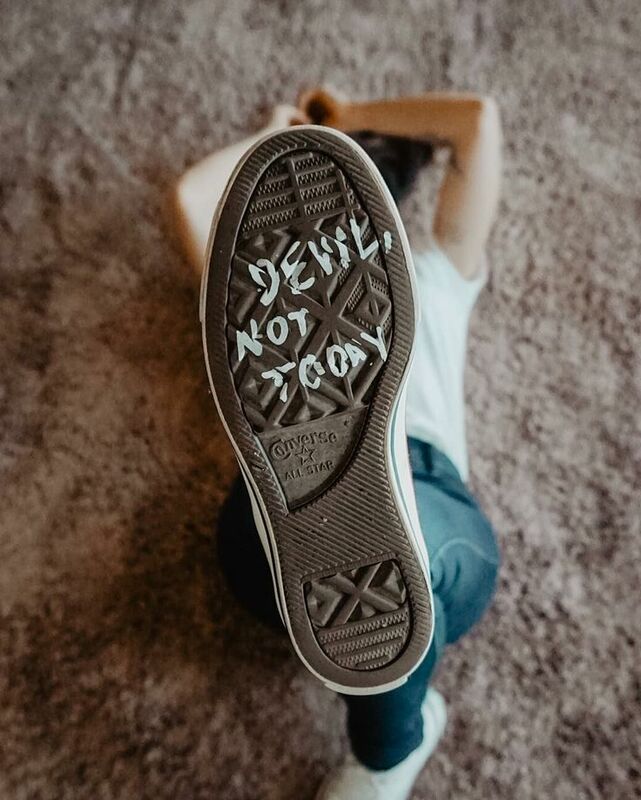 I pray you’ll join me in saying to the enemy “NOT TODAY!” In the end, our God will have the victory. FAMILY FUN NIGHT: This Friday, October 6th, starting at 6pm at Rock Church Amesbury, and we’re having a GLOW PARTY! Please join us for an evening of great and colorful fun for the whole family including glow face paint, henna, music, dancing, snacks and more! For more info, please contact Jessica Pontes at jpontes320@aol.com. Please invite your friends and neighbors to join us! ROCK RUN RAISER is approaching fast! This 2 mile extreme obstacle course race will be at our Plaistow campus on Oct 21st. We need some Amesbury teams to participate in the race so WHO’S IN? If you’re not up for racing, we also need over 50 volunteers! For those interested in helping please join us for a meeting at Rock Plaistow coming up on Thursday, September 28th at 7pm. More information and registration is available at this link. TRUNK OR TREAT: This is one of my favorite events we do all year round and I hope you’ll consider either in decorating a trunk or joining us with your little one. We also need TONS of candy donations at all campuses so look for donation bins appearing soon. We hope you’ll join the fun and help us to bless our communities! I hope you are all having a great week and enjoying the unseasonably warm weather. I love summer so even though it is officially fall, I’m taking advantage of every moment I get in the sunshine. 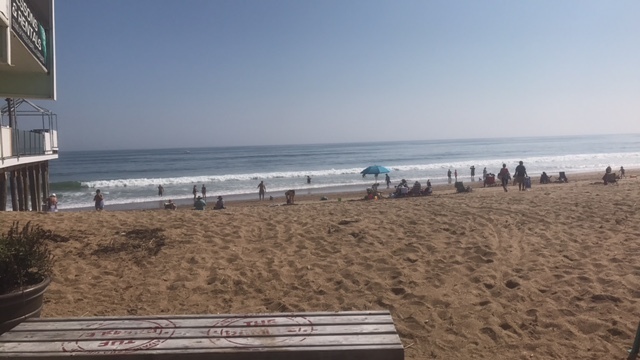 As Monday is generally our day off, Jon and I have taken to spending some time in the mornings at Salisbury Beach and this past Monday was no exception. Because it was so beautiful, Jon actually spent a good amount of time riding waves, and let me tell you those waves were really a remarkable sight. As I sat on the beach and watched the waves continuously form, crash, recede and repeat, the repetition was comforting and the power was awe inspiring, unnerving event, at the same time. I found myself many times watching for Jon to make it to shore and emerge from beneath the foam left behind by the waves to make sure he was still all right. Yet, the persistent rhythm of the waves comforted me. In the same way, God is constant and faithful, the same yesterday, today and forever (Hebrews 13:8), even in light of the unsettlingly overwhelming power he displays effortlessly. Isn’t that so beautifully descriptive of our God? He certainly does not lead us into places that are safe, but He and His ways are always good. After all, He is the King. So as we continue on Sunday mornings to dig into the Real Hope that Jesus offers us, may we recognize the power and the presence of the one who is the same yesterday, today and forever, who calls us out of the safety of ourselves. CELEBRATE RECOVERY: We experienced an incredible night this Tuesday evening with special guests, The Cashmans, as we celebrated ONE YEAR of Celebrate Recovery at Rock Church Amesbury! Did you know that CR is not just for those recovering from substance abuse? This Christ-centered program can help bring healing and freedom from any addiction, any hurt, habit or hang up with which you may be struggling. And now we have The Landing program running simultaneously with CR for our youth grades 6-12. Dinner begins @ 5:30 followed by large group worship @ 6:30. Contact Diana Teel (dtrn2@comcast.net) for more info on CR or Jessica Pontes (jpontes320@aol.com) for more info on The Landing. Freedom is possible for the whole family! TRUNK OR TREAT IS COMING! This is one of my favorite events we do all year round and I hope you’ll consider either in decorating a trunk or joining us with your little ones. We also need TONS of candy donations at all campuses so look for donation bins appearing soon. We hope you’ll join the fun and help us to bless and be for our communities! FINANCIAL PEACE UNIVERSITY: We will be hosting the Dave Ramsey course on finding financial freedom at our Plaistow campuses on Thursday evenings starting September 28th at 6:30pm. This is a 9 week course and the cost for materials is $100. If you are ready to take the step toward freedom from the captivity of debt and the worry of finances, we hope you’ll join us! So if you were with us this past weekend in Amesbury you may remember that I mentioned I was fired up, but I didn’t know if it was the coffee or the Holy Spirit. 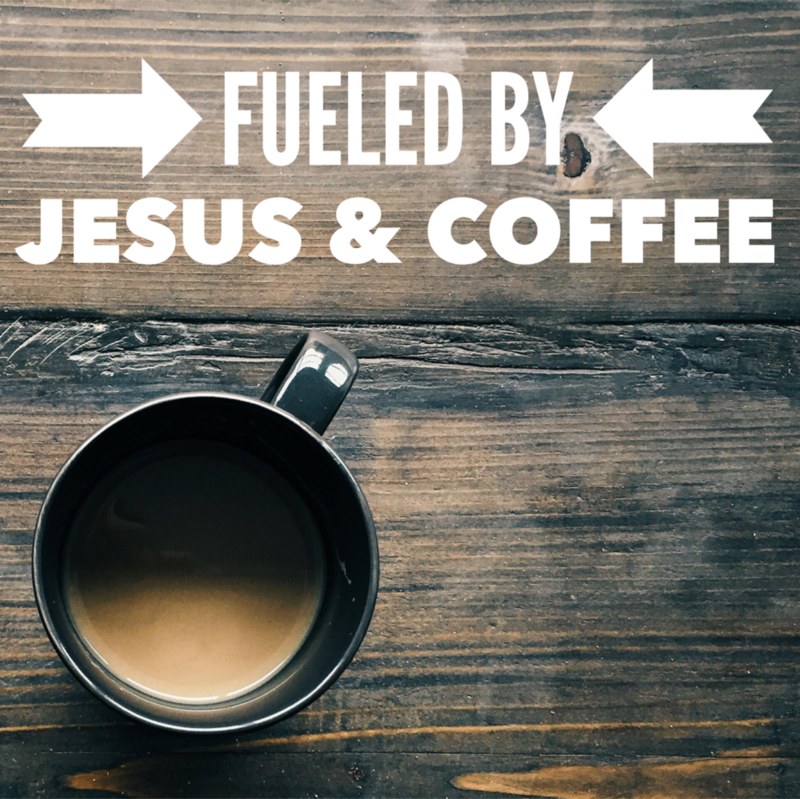 Well, I’ll tell you that I’m still loving on my coffee, but I can say definitively that it’s the Holy Spirit! I do have a question for you - do you like surprises? Personally, if I’m honest, I don’t love them. Although I do consider myself an adventurous person, I guess you’d say I like to adventure on my own terms and I’m not a big fan of unplanned circumstances that can arise along the way. That having been said, I have to tell you that I’ve had a really weird week so far. This week I’ve had a lot of little surprises – some pleasant, some just really odd, some very difficult. When I say surprises, I’m not talking about a room full of people jumping out with balloons and a cake (my birthday is in December by the way), or a series of shocking turns of events that have changed life as I know it. I’m just talking about a lot of little experiences that have popped up this week that I just know God has his hand in. I’ll give you an example. On Sunday evening, we met for young adult LifeGroup at our house as usual. We had finished the video study we’d been working our way through previously and God had put it on my heart, rather than starting a new video study as we’d been accustomed to doing recently, to offer the group the opportunity to simply study through a book of the Bible verses-by-verse. I’d posted this out to that group on Facebook a few days before, and the feedback was quite positive. I thought perhaps we’d study the words and teachings of Jesus in one of the Gospels, or maybe one of Paul’s letters to the churches to learn from those who went before us what it means to be the church or perhaps even learn more about the nature of God from one of the books from the Old Testament. To my surprise, when we got to group we began discussing guess what they chose? THE BOOK OF REVELATION. For a little bit of light reading throughout the week, they chose the Book of Revelation (yes, I’m kidding). This was a total surprise. I didn’t even know anyone was interested in eschatology (the study of end times), much less wanted to pick up one of the most confusing books in the Bible and read it through verse-by-verse, but that’s what we’re doing. We read the first chapter together, had a great discussion and I felt a renewed sense of purpose for our LifeGroup. I think sometimes we can get to a place in our lives where we’re just going with the flow, treading water, and maybe we need a shake-up. Again, it doesn’t have to be something life-changing, but these little surprises that crop up in our lives can be just the kick-start we need sometimes to step out in a new direction or experience something new to get us out of our comfort zones. And you know what? I feel renewed! I feel God calling us to something greater, deeper, MORE. I’m even more excited than before to continue our study of Isaiah 61 this week as we learn more about the Real Hope available through Jesus. In fact, I’m even more excited than after my third cup of coffee on Sunday morning so WATCH OUT! ROCK CHURCH NEWBURYPORT – The official launch of our Newburyport campus is this Thursday, September 21st at 6pm! Whether you’re interested in connecting on a new level or you have friends in the Newburyport area, let’s get the word out! All of the details about our Newburyport campus are availble here or you can contact Pastor Paul Nolden for more information. I look forward to hearing how the Spirit has surprised you recently! I've missed you all so much and I can't wait to see you this weekend - and what a weekend we have planned! But before we get to that, I wanted to share something that I was studying my Bible this past week. If you've been around me for any period of time, you may know that I'm a little bit of a language geek. I love to study words and their meanings, particularly as it relates to the Bible. And I think that is important because as we’ve talked about in the past - what we say is impactful - words have power (James 3:1-12). I was reading about the Hebrew letter Mēm מ, meaning chaos. In fact mem is the root of the Hebrew word mayim (mah'-yim), which means water. Jon and I had the blessing of spending most of the last week around the beach preparing for our daughter’s wedding. There was indeed much chaos, both in the wind and the waves from the storms to our south, as well as preparing for the wedding and settling our emotions of “giving away” our oldest daughter. With Hurricane Harvey devastating parts of Texas and Louisiana last week and now Hurricane Irma coming through the Caribbean and up to Florida this week, there is certainly no lack of chaos. Then I was also reminded of another Hebrew word, SHALOM – the peace of God. The common translation of the Hebrew word SHALOM is peace, but it is in fact more fully translated as something like completeness, wholeness, peace. So even when the chaos seems to surround us, we can still have the peace of God that surpasses all understanding. We certainly experienced that peace over the weekend when it down poured on the wedding, but through the entire day, we had shalom. In the midst of Hurricane Irma bearing down to the south of us, let us pray shalom over all those in its path. It is my prayer for each of you throughout your week that you experience shalom, even in the chaos. Now for this weekend – and what a weekend it will be! 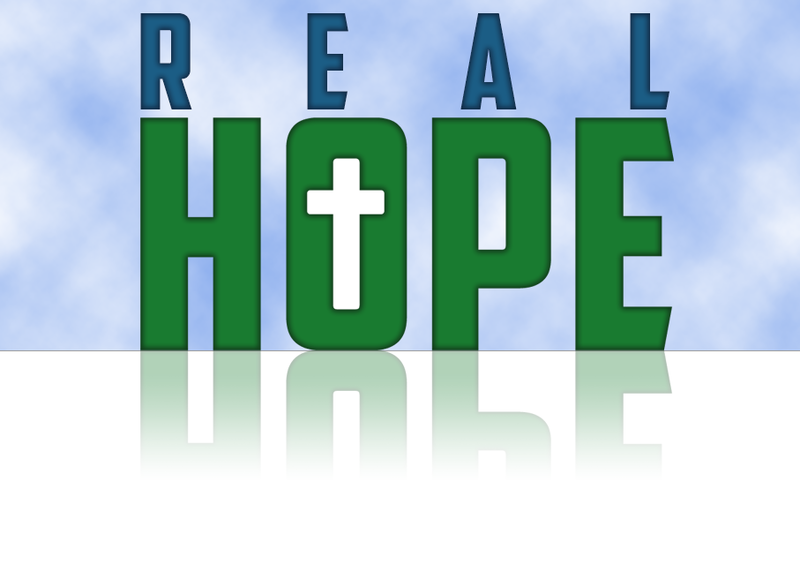 REAL HOPE - At all Rock Church campuses on Sunday, September 10th we will launch our new teaching series Real Hope (spoiler alert - that’s Jesus BTW). NEXTGEN & WORK PARTY - We will also launch our new NextGen children’s program! This is such an exciting time, but there is still some prep needed for our newly renovated kids space in Amesbury so if you can join us on Saturday, September 9th starting at 9AM for a work party to finish that off, we’d really appreciate it! Coffee and donuts will be provided! Contact P.Jon for more information at jon@rock-church.org. BAPTISM – Then on Sunday at 1PM after all of our services, we’ll have our annual Beach BBQ and Baptism Service at Camp Tasker (36 Country Pond Road, Newton, NH). Email Lynette if you are interested in baptism. We will also be incorporating a new element that we are all very excited about so don’t miss out on an opportunity to gather together and encourage one another. Click the link to each activity above for more information. Looking forward to seeing how God will move in us and through us on Sunday! Jon and I missed you all last week, but know that you had a great Sunday encouraging one another. How has that been going this week? Who have you encouraged and who has encouraged you? I’ll be honest (aren’t I always?) - I could use some encouragement. The transition from summer to fall is always hard for me. While many of you are out there giddily rejoicing at the return of cider donuts and pumpkin everything from Dunks, I’m mourning the loss of my peach iced tea at Starbucks. Granted I always have a hard time with the transition from summer to fall, but this time it is a particularly hard for me. Many of you have heard that our oldest daughter, Julia, will be getting married this upcoming weekend. Even though this is an incredibly joyful time, it is also a time of great transition and change. She will be moving out of our house, she will take a different last name and she will officially turn her heart over to someone other than her father and I. Just like the transition from summer to fall, this is a beautiful, natural progression of the seasons of our lives, but that does not mean it is easy. Often change, even good change, is hard. The beautiful thing about the church is that we are all experiencing different seasons in our lives and at one time or another we all in need of encouragement and can give encouragement. So, what changes are you facing in your life right now? How can others offer you encouragement? Regardless of whether it may be a change in the seasons of your life, or just the change of seasons period, WE ALL HAVE REASON TO BE ENCOURAGED! Our circumstances may change, but God is a God who does not, and on that we can put our hope. As we finish out this summer, there are still some great things going on (just don’t expect me to be drinking a pumpkin latte at any of them). SEPTEMBER 10TH: This is going to be a BIG day for Rock Church! First, that morning we’ll be launching our new NextGen program for our kids! We’re working hard on renovating our space to be more inviting and fun and we can’t wait get the life into that space that the kids bring. Registration can be done online at www.cometotheparty.org or onsite on Sunday. Then, later that day we’ll have our annual Rock Church beach baptism and picnic. Baptism can be an incredible step in our faith journey, and it is truly a holy moment. Whether you intend on being baptized yourself, or just sharing this moment with your fellow brothers and sisters, I hope you’ll join this year at Camp Tasker in Newton, NH on September 10th at 1pm. If you are interested in being baptized in the lake this year, please connect with Debra Haggstrom (deb@rock-church.org) or you can always just let us know on your connection card on Sunday. ALIVE! 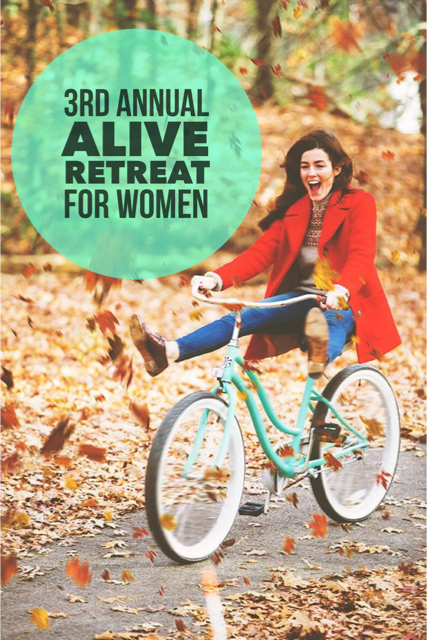 RETREAT FOR WOMEN - Friday, September 29th 6:45-8pm and Saturday, September 30th 9am-3pm speaker Kelly Latta will join us at the Plaistow campus for some time away to refresh and rest for women. More info and registration is available online at www.rock-church.org/womens-ministry/ or contact Tracy Meola at tmeola@comcast.net. May the rest of your week be lived out by encouraging and being encouraged! At that moment, I came to the realization that God was present then and there with me. Even though intellectually I know that God’s Spirit dwells within me, when I went to prayer my mind automatically pictured God in some far off place “up above.” Don’t read me wrong here; God certain inhabits heavenly realms. Nevertheless, in reality, God is beyond our understanding of time and space and he is not only in those heavenly realms, but He is also fully present with us, closer than that “you belong” reminder six inches away from my face. Any parent will tell you how difficult it is to be far away from their children. At that moment, I had the realization that God’s heart is touched in the same way. We are all sons and daughters of the King. He longs to be near to us, and for us to draw near to Him. If I we want to see God, we certainly can look to the skies as a reminder of His greatness, but He isn’t there. He is right here, with His children. Through the rest of my run, which did get remarkably better, I put my head down and rested in the knowledge that I belong to a God who is closer than we realize, at all times, in all things. Speaking of our children, it’s that time of year again! Please keep all of our kids, parents, teachers and all others who work so hard to care for our next generation lifted up in prayer. We also ask for your prayers for the launch of our new kids program NextGen. We are SO excited for what this year holds, but there is still a lot to do! We are hard at work renovating our space and there will be a NextGen work party this Saturday, August 26th from 8am-1pm. If you are interested in helping either at the work party on Saturday or in the many other ways you can serve in NextGen (remember, serve one another? ), please contact Jessica Pontes jpontes320@aol.com or Chrissy Rupp Christine.l.rupp@gmail.com. Women's BBQ: This Saturday August 26th 5-9PM at the Rock Church Plaistow Campus. We will have Food, Fellowship & FUN! There will be Worship, Games, a Bounce House (for the kids) and a DJ & Dancing (including a lesson or two of Line Dancing)! CHURCH PICNIC & BAPTISM: Our annual Rock Church picnic and baptism service will be at Camp Tasker in Newton, NH on September 10th. As it is every year, it is sure to be an incredible and moving experience! If you are interested in being baptized in the lake this year, please connect with Debra Haggstrom (deb@rock-church.org) or you can always just let us know on your connection card on Sunday. WINDOW RESTORATION PROJECT: The windows in the sanctuary in Amesbury will be replaced the beginning of September! As we go through the summer with all of the activities, it is easy to forget about the project and pledges, since there has been no visible reminder or any sign of work being done. If you made a pledge and have fallen behind, no worries. There is no better time to get back on track than now! If you haven’t yet made a pledge, now is the time. So, as God leads, please consider what you may do to help in this project. Thank you, thank you, thank you to all who have given so far. This is not the blog I wrote this week. That’s is a pretty confusing way for me to start, right? What I mean by that is that I wrote another blog on another topic that I’m sure I’ll share with you all at some point, but I just couldn’t find peace with it. In fact, peace is something I’ve struggled with since late Sunday evening. See weekends are general busy, and this weekend was VERY busy for us. Between prepping for Hero Central Day Camp all weekend, getting ready for our daughter’s wedding in 3 weeks, sermon prep, mission team meeting and Young Adult LifeGroup, my weekend was full. Nevertheless, since that time, I’ve had a sad unrest in my spirit that I can’t adequately put into words. That unrest comes from a few different places. First, the events themselves were awful, just awful. And I don’t know about you, but much of the reactions and commentary I’ve experienced since then have been awful as well. Next, regret that I was unformed on Sunday morning. You all deserved better and I am truly sorry. You deserved a place to talk through your feelings, your questions and your fears at LifeGroup. And lastly, and most importantly, you deserved to hear from me during the sermon that LOVE ONE ANOTHER means loving all God’s children, regardless of the color of their skin, their nationality, their religious beliefs, who they love, who they hate and how they express that. That’s a hard truth. But the good news is that the message doesn’t change – the love of God is the answer. The truth is that I hate the events of last weekend. I hate the beliefs of those who caused them. I hate that there are those in this world who want to hurt people that I love deeply, simply because of the color of their skin…BUT, as always hate is not the answer, love most certainly is. I’m not sure I can put it better than Christian musician Natalie Grant in her statement on Facebook when she said, “"Racism has no place in God's kingdom, and it has no place on this earth...And as a follower of Jesus, I pray that I live love so loudly, it drowns out the hate.” So as we work our way through this life, I’d like to invite all of you into actively seek to live intentionally in that kind of love with me. MOTION AND DEVOTION – THIS SATURDAY, August 19th at 9am at Rock Church Amesbury come join us for Christian yoga! By popular demand this will be open to both guys and women! All experience and fitness levels are welcome to come as we exercise our mind, body and spirits together. If you have any questions, feel free to email me or our wonderful hostess, Joni Boggiatto at jonibogg@comcast.net. WOMEN’S MINISTRY BBQ – On Saturday, August 26th at 5pm the Rock Church Women’s Ministry will hold the annual women’s BBQ at the Plaistow campus. There will be chicken, ribs and hot dogs and we’re counting on you for the appetizers and desserts! If your last name begins with A-M, please come with a salad or appetizer. If your last name begins with N-Z, please bring a dessert along. MEN’S RETREAT – Men, there’s still time to join the retreat at Camp Brookwoods on Lake Winnipesaukee! Pastor Steve will lead in exploring why everyone needs Jesus. The cost to attend is $150 for the weekend, which includes all meals and activities. You can register and pay online at www.rock-church.org/ministry-to-men or you can place a check in the offering, made payable to Rock Church and include in the memo line “2017 Men’s Retreat”. Contact Jim Connors jmvmc@comcast.net or Jeff Raimondi jeffandrosie25@gmail.com for more information. Have you ever had to do something that made you feel uneasy? You know the feeling – butterflies in your stomach, that nervous feeling, just a general sense of trepidation. I’ve gone through seasons where I feel like I’m experiencing that almost on a momentary basis. I’ve also been through seasons when I can’t even remember the last time I felt that way. Now although I may prefer the latter seasons, the reality is that these times of discomfort are often when God can reach us best. In fact, when it really comes down to it Scripture is pretty clear that times of uneasiness will enter into our lives – A LOT. If that wasn’t the case, why would we need to be warned to be strong and courageous and not to be frightened or dismayed (Joshua 1:9), or that we were given a spirit of power, love and self-control, not fear (1 Tim. 1:7), or to trust God with all of our hearts (Proverbs 3:6)? Why would we need to trust God with ALL our hearts, if our lives were intended to be easy, simple or without challenges? We certainly may prefer it if our lives were smooth sailing all the time, but the fact is that is not where growth happens. And while growth may not always be easy, it is most certainly good. That’s why one of our core convictions at Rock Church is that “Everyone is meant to grow.” Growth as a follower of Jesus Christ is one of God’s goals for each one of us even when we don’t understand it. As we grow in experience and in years, we are also intended to grow in understanding as we draw closer to God, through love. As with everything God purposes for us, love is at the center. It is the key to our relationships with God and with one another, it is the key to our growth and it is the key to our salvation. As we started talking about in our new sermon series “One Another” last week, there are different commandments God gives us in the Word as to how we are to live and grow together as brothers and sisters. This week, we’re going to continue to dig deeper into the Word and God’s command for us to “LOVE One Another.” I hope to see you on Sunday as we grow together deeper in our faith and in love with God and one another. SALISBURY OUTREACH CONCERT TONIGHT! Wednesday Aug. 9th, Rock Church will be the host church at the Salisbury Beach Outreach Concert. The Rock Church Amesbury worship team (along with a few guests) will have the opportunity to perform at the Summer Outreach Concert Series at the new Salisbury Beach stage. Come on out to sing praises to God at the beach while supporting the church and the worship team. Concert starts at 7pm, but we’ll be there early to set up tables and get ready. We’d love your help if you’re up for it! HERO CENTRAL DAY CAMP NEXT WEEK! Next week, August 14 – 18th, Rock Church will be working to bless the families of our community by hosting a full day camp at our Rock Church Plaistow location. We’re also looking for volunteers to help out before, during and after the week so if you have some time and a desire to bless our community while pouring into the next generation, we’d love to have you! Please sign-up at http://2017.cokesburyvbs.com/rockchurch or email Pastor Jon - jon@rock-church.org. We’re looking forward to another great week! WOMEN’S MINISTRY BBQ – On Saturday, August 26th the Rock Church Women’s Ministry will hold their annual BBQ at the Plaistow campus. There will be chicken, ribs and hot dogs and we’re counting on you for the appetizers and desserts! If your last name begins with A-M, please come with a salad or appetizer. If your last name begins with N-Z, please bring a dessert along. Hope to see you there! As you probably heard, Jon and I were traveling for the last couple of weeks with our Honduras Mission Team. We made it home around 3:30am on Saturday morning and we are still recovering, BUT IT WAS POWERFUL! I’m sure we’ll be holding a time of sharing so we can update you all on what God was able to do in and through us during this time on mission so stay tuned for that, but in the meantime, this last trip has left me thinking a lot about community. As a church, we’ve been focusing on community quite a bit with the launch of our “For Our Community” campaign. I’ve heard so many incredible stories of people getting together and just being the church (as it should be) to those around us. We may have even brought a little For Our Community to our friends in Honduras as well. But what I’ve been left thinking about recently is actually a little different. Have you ever heard the term koinonia? Translated from the Greek word κοινωνία, koinonia loosely translates to a close communion or sharing of relationship and is generally accepted as the intimate bond existing between Christian brothers and sisters. After being on mission together 24/7 for 10 days (not to mention the night before without any sleep at all), you can imagine that we were living in a tight community, AND IT WAS POWERFUL. Right now, we have approximately 120 youth, young adults and families preparing to go to Soulfest where they will live together in this intimate relationship for a little under a week. This is always a great experience for all, AND I HAVE NO DOUBT THAT THIS YEAR WILL BE POWERFUL. I love that God has given us the opportunity and desire to live in koinonia, not just in these special times of refuge like on mission and at Soulfest, but everyday as we do life together as a church family. And I truly do love living in this way with all of you. OUTREACH CONCERT SERIES: If you haven’t already heard, Rock Church will be the host church and the Rock Church Amesbury worship team (along with a few guests) will have the opportunity to perform at the Summer Outreach Concert Series at the new Salisbury Beach stage on Wednesday, August 9th. Come on out to sing praises to God at the beach while supporting the church and the worship team – what could be better?! Concert starts at 7pm, but we’ll be there early to set up tables and get ready. We’d love your help if you’re up for it! HERO CENTRAL DAY CAMP: Day camp is right around the corner! The week of August 14th – 18th we’ll be working to bless the families of our community by hosting a full day camp at a very low cost (currently only $39 for registration!) at our Rock Church Plaistow location. If you have a child going into K-8th grade, or know someone who may be interested in attending, we’d love to have them! We’re also looking for volunteers to help out before, during and after the week so if you have some time and a desire to bless our community while pouring into the next generation, we’d love to have you! Registrations for campers or volunteers are available online at http://2017.cokesburyvbs.com/rockchurch. We’re looking forward to another great week! CHURCH PICNIC & BAPTISM: This year we will hold our Rock Church picnic and baptism service at Camp Tasker in Newton, NH on September 10th. I know this may seem like a world away right now, but will be here before you know it. If you are interested in being baptized in the lake this year, please connect with Debra Haggstrom (deb@rock-church.org) or you can always just let us know on your connection card on Sunday. May the rest of your week be lived out in koinonia with one another! Greetings from Eternal Family in Peña Blanca! On this second leg of our trip we are building a ramp for Gaby, an amazing young woman who is so positive and an encouragement to us all. She and Ruby have overcome disabilities to be great examples & influences on the other young girls in their family. We were also excited to help them reorganize their rooms and storage to gain a couple of classrooms so they can now teach up to eighth grade at their school. Here at Eternal Family, they are also passionate about extracurricular activities such as music and sports. We also worked building a balance beam to help the girls practice their gymnastics at their house. Right now we are preparing to say goodbye to these precious girls and head back to San Pedro Sula, where we'll spend the 3rd and last leg of our mission. Over the next few days we will be visiting the Compassion Center at the Rio Blanco slums to provide the least in this country with nourishment for their bodies and souls. We go trusting that God will move and that through our brothers & Sisters in ministry the cycle of poverty can be broken to the point no one has to live in such conditions. Please continue to pray for health, unity and effectiveness for our team this week. Tuesday Morning 12 of us have got up and out way before sunrise (or in some cases, never even went to bed) and started on our way to Honduras to serve on the mission field for 10 days. For some of us, this is a familiar adventure back to people and a place that we have grown to know and love. For others, it is an entirely new and perhaps a little scary adventure into the complete unknown. Either way, I have full confidence that God is leading us into something incredibly meaningful and, for some, perhaps even life-changing. The first time we assembled a team to go to Honduras, we had no idea what we were in for. No, really, absolutely NO idea. We did not understood how it felt to instantly love a place and people that we had never even met before. We didn’t know that the faces of true poverty and true prosperity could be seen in the same beautiful children playing in the dirt streets of the slums. We were able to experience these things in a remote orphanage and on the streets of a big city with beautiful kids we couldn’t even talk to, who often kept themselves occupied playing with what we here in the States would consider trash. And it was life-changing! One thing we did know was that we were in the perfect center of God’s will. We did know that God wanted us to go. And we had prayerfully struggled over where to go and what God wanted us to do there, and we were doing it. Although we’ve seen so many more things since then, met so many more people and experienced things we never thought (and perchance never hoped) we’d experience, I feel no differently about this mission today. God has ordered our steps, and is in full control. For that reason, we go with boldness and with confidence - like warriors with a quiver full of arrows, and we know that we do not labor in vain (Psalm 127). We thank you all for your unwavering support for this mission and we would like to offer the opportunity for you to go with us in some small way. We plan to post regular team updates during our time on mission and hope that you will “Like” our team page on Facebook at https://www.facebook.com/trustwithoutbordersmissions/ or follow us on Instagram @trustwithoutborders_twb so you don’t miss out on any of what God is doing in and through us in this amazing place. A few weeks ago Rock Church was the host church at the new Wednesday night Summer Outreach Concert series at Salisbury Beach. Coming up on August 9th, we will once again be hosting, but the concert that night will feature Rock Church Amesbury’s own worship team! The concert starts at 7pm, but generally there are folks gathering there by 6pm to get seats, enjoy the beach and some good company. We’ve been working pretty hard to make this outreach event impactful for all who attend so I hope you’ll put this on your calendar and come out to support our team and have a great night of outreach and worship! Summer Day Camp is coming up fast! The week of August 14-18th we will be running a full day summer day camp from 9-4 at our Plaistow location. Last year was such a great time of connection with the kids and families, but it is a lot of work so we need your help! Our theme this year is HERO CENTRAL, and you can be a hero too by volunteering any time during the week or ahead of time or afterwards in the evenings with set-up or other administrative tasks. We’d love to have you! There will be a volunteer meeting coming up on July 31st at 7pm at our Plaistow campus so I hope you’ll put that on your calendar and let Pastor Jon (jon@rock-church.org) know that you want to be a hero too! Pastor Paul will be bringing this week’s Biblical Life Hack from the Book of Proverbs at Rock Church Amesbury on Sunday and I have every confidence that the Spirit will move in a mighty way. I just know that you won’t want to miss it! Have you ever read something or seen an advertisement and thought, “Why didn’t I think of that?” It seems so obvious once someone else has come up with it that you can’t believe you didn’t think of it first. For example, these newly designed “inside-out” umbrellas that you can now get under a dozen different names (oops, someone didn’t take advantage of patent law…). I don’t know if any of you have ever tried to get out of a car in the pouring rain using an umbrella, or gotten wet after coming in from the pouring rain when you grab the outside of your soaked umbrella. I know I certainly have. But these umbrellas are actually inside out from what we would consider a normal umbrella and eliminate those issues. Such a simple concept, but so much better! Now this is not an advertisement for these umbrellas, but in a way it is a pitch for the Biblical Life Hacks we’ve been studying. The more I study God’s word, and particularly the book of Proverbs, the more I think to myself, “Why didn’t I think of that?” After all, doesn’t it make sense that being prideful, thinking of ourselves like we talked about last Sunday will only lead to harm in our relationships? And doesn’t it make sense that we should seek to learn from those who have gone before us in the hope of not repeating mistakes they may have made? Of course, both of those make perfect sense, but nevertheless we will need God’s guidance. I guess the question of why I can’t think of those things on my own doesn’t really matter because we are blessed enough to have Scripture to continually remind, instruct and guide us. That really is the best life hack of all – “Good friend, don’t forget all I’ve taught you; take to heart my commands. They’ll help you live a long, long time, a long life lived full and well.” Proverbs 3:1-2 (MSG). I look forward to talking more about this on Sunday as we continue on our study of the Book of Proverbs. Until then, I want to give a quick reminder that the Honduras Mission Team leaves on Tuesday, July 18th. That means that this will be our last week in service before the trip. We so appreciate your support and prayers and hope you’ll be there this week to pray over the team and send us off well. T-shirts will be available once again at service on Sunday if you want to show your support of this important mission while we’re away, as we return and for years to come! Also, an opportunity has arisen to rally together and show that Rock Church Amesbury is FOR OUR COMMUNITY. On Saturday, July 15th the Rupps are arranging moving assistance for an area family that does not have local friends or family to help them. In addition to this family, Michelle Hanscom, one of our Honduras Mission Team members who attends in Plaistow, has to have her current apartment emptied out that day before leaving for Honduras and is in need of assistance. We already have a handful of people committed to help, but our hope is that if we can get even more volunteers that many hands will make light work and we can assist with both of these moves quickly and easily. Thanks to all who are willing to pitch in for being For Our Community! Looking forward to seeing how God will move among us on Sunday! Amesbury Days was a complete success and I think that our community now knows that Rock Church is for them. I can’t tell you how many people commented on all that we do for the community and how we have such a great group of loving, kindhearted people. And you know what? I totally agree! I just want to say right up front a HUGE thank you to the many many volunteers who came out to each of those events. You are all a huge blessing to us, and you certainly showed all who attended those events that Rock Church is FOR OUR COMMUNITY. BUT (if you can believe it) it isn’t over yet, we have one more event tonight (Wednesday 7/5). Tonight at 7pm is the first Salisbury Beach Outreach Concert at the Beach Entertainment Center & Seaside Stage (on the main strip by Blue Ocean Music Hall) - and Rock Church is the host church! This means we’ll have the opportunity to have a booth, we’ll give away water and freeze pops, and we’ll get to talk to everyone there about what Rock Church is all about while hearing a great local Christian group, DRM Band. I can’t think of a much better way to spend a summer night at the beach, with good company and good music, and talking about Jesus. I hope you’ll come on down and join in the fun! I also just want to give a quick reminder that the Honduras Mission Team leaves in a little under 2 weeks now. That means that this Sunday will be the last opportunity to drop off any donations at a Rock Church campus, as we’ll need time to get everything sorted, organized and packed. As always, monetary donations may be made online at www.rockgiving.org (Honduras Mission Trip). We are so grateful for your support, prayers and encouragement! I’m excited to share the next Biblical Life Hack God has for us this week as we continue our study of the Book of Proverbs. Looking forward to Sunday!